Join us at Kerr Scott Building at the NC State Fairgrounds for “LS-VII” on Saturday, November 10th, 2018. 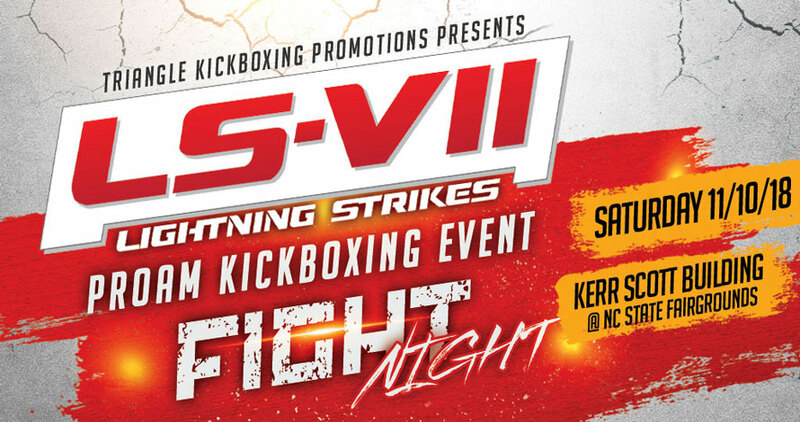 Enjoy an exciting evening of amateur and professional kickboxing! If you are a fighter and want to compete in this event, click on the button below to fill out a fighter registration form online.